1. Take a big bowl and add chopped Onion, Garlic Paste, Sesame Seeds, crushed Sauf, crushed Jeera, Ajwain, Red Chilly powder, Coriander Leaves, Turmeric and salt in it. 2. Now add 5-6 Tbsp Oil to it and mix it well. 3. Add all the Flours one after the other and mix it well. 4. Now knead the mixture till the dough become smooth by adding enough water and keep it aside for 10 minutes. 5. Now heat the tawa on a low flame. 6. Take a wet cotton cloth and spread it on a rolling board. 7. Take some dough in your palm and spread the thalipeeth evenly on the cloth. 8. Make a hole at the center of the thalipeeth to add oil. 9. Now carefully with the help of the cloth place the thalipeeth on the tawa. 10. Cover thalipeeth with lid and keep on low flame for about 1 minute. 11. Roast thalipeeth on both sides and keep adding oil as required. 12. Keep roasting till brown spots appear on thalipeeth. 13. Thalipeeth is ready. Repeat the above procedure for the remaining dough. 14. Server Kandache Thalipeeth (Onion Thalipeeth) with pickle, Butter, Curd or Thecha. 1. Take some boiling water. Now break the tamarind into small pieces and soak it the water for 1 hour. 2. After an hour, take the soaked tamarind in a strainer and mash it into a pulp by pressing the tamarind to remove all the pulp. 3. Add Sugar/Jaggery to the pulp and mix well. 4. Add the remaining ingredients and mix well. Add more sugar, salt or pepper as per your taste. 5. Tamarind Chutney is ready. 6. Chutney can be refrigerated for 2-3 months. 1. Tamarind Chutney can be drizzled over Ragda Patties, Dahi vada, Bhel Puri and any kind of Chaat. 2. It can be used as a dipping sauce for Samosas, Pakoras, French Fries, Veggie Fingers or any kind of Fritters. 1. Wash the dry peas 2-3 times with water and then soak it for about 6 hours or overnight. Add ½ tsp salt and ½ tsp sugar in the water while soaking. 2. Drain the peas and boil them in a pressure cooker with 4 cups of water, salt and turmeric powder for 3 whistles on a high flame. 3. Heat ½ Tbsp oil in a small pan. Add cumin seeds, dried red chili, clove, cardamom, cinnamon stick. Saute for 3 minutes. 4. Add onion, ginger and garlic and saute till onions become light brown. 5. Add Tomatoes, green chili, Garam masala powder, amchur powder. Saute again for 4-5 minutes till tomatoes are cooked. 6. Now turn off the heat and let it cool. 7. Grind the masala Gravy to smooth puree. 8. Heat ½ Tbsp oil in a large pan. Add hing, boiled peas with water and grinded gravy. Mix well and let it boil for 7-8 minutes. 9. Turn off the heat. Your Ragda is ready. Garnish with coriander leaves. 10. 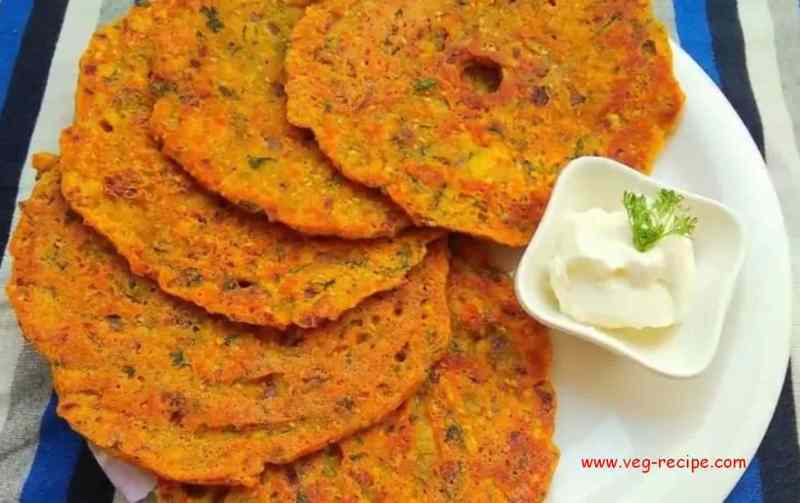 Serve with Rice as a curry or serve with Ragda Pattice or as a Samosa Ragda chaat. 1. You may add 2 cups of peeled and chopped potato pieces while boiling the peas. In this case add little more salt according to the potatoes. 2. Grinding the gravy masala is optional. You may directly add the peas and cook. 1. Now cut thin Slices of all the Capsicum (Bell Pepper) and remove the seeds and keep aside. 3. Take Oil in pan to deep fry and heat the oil on medium flame. 4. 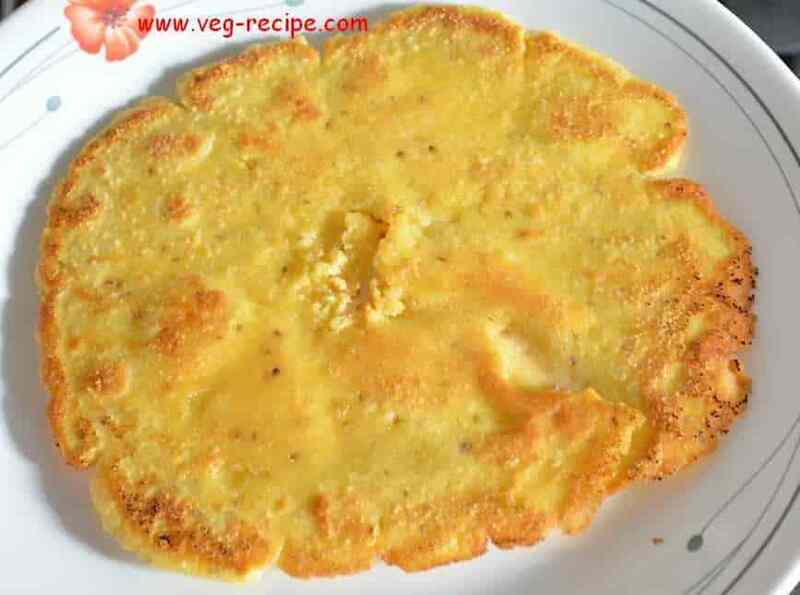 Now dip the Slices of Capsicum into the Batter prepared and coat all around. 5. Deep fry the slices in Hot oil until both sides turn golden brown and look crispy. 6. Take the fried pakoras out on a Kitchen napkin to remove excess oil. 7. Repeat the above procedure for all the slices of Capsicum. 8. 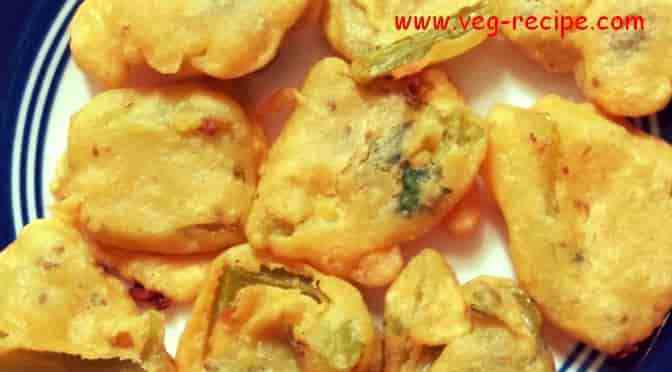 Serve hot fried Pakoras / Fritters with Green chutney or Tomato Sauce. 1. Take 1 cup Basmati Rice in a deep bowl and wash it with water. Keep it soaked in water for about 30 minutes and after that drain the water and keep the rice aside. 2. Now heat Ghee in a pan on medium heat. After the ghee is hot, add Cloves, Bay Leaf, Cinnamon Stick, Black Cardoman, Dry Red Chilly and saute for some time. 3. Now Add Cumin Seeds and let them crackle and fry till they become dark brown in color. 4. Now add the Basmati Rice and saute on medium heat till for a couple of minutes or till the rice is well coated with ghee. 5. Add 2 cups of water (1 cup rice = 2 cups water approx), Add salt as per taste and bring it to a boil. 6. Now lower the flame and cover the lid and cook for 5-6 minutes. 7. Now open the lid, add lemon juice and saute for another minute. Again cover the lid and cook till rice become soft. 8. When the rice is cooked, add Chopped Coriander leaves and mix it well. 9. Now switch off the flame and cover the lid and let it stand covered for 10 minutes. 10. 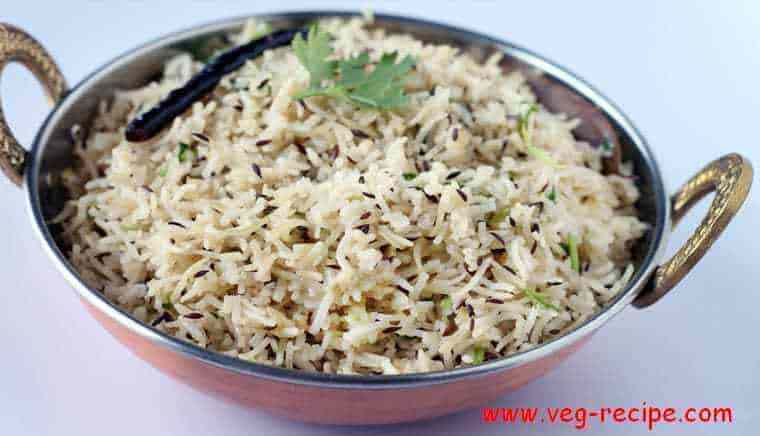 Jeera Rice in Pan is ready to serve. Serve it with Dal Takda or curry of your choice. 2. Take a Pressure Cooker, Heat Ghee in it on medium flame and after that add Cloves, Bay Leaf, Cinnamon Stick, Black Cardoman, Dry Red Chilly and saute for some time. 5. Add 2 cups of water (1 cup rice = 2 cups water approx), Add salt as per taste and mix it well. 6. Now Close the pressure cooker and cook over medium flame for 2 Whistles. Turn off the flame. 7. Keep the cooker aside to allow the steam to escape naturally before opening the lid. 8. Now open the cooker and gently fluff the rice. Lastly add chopped Coriander leaves and mix it well. 9. Jeera rice in pressure cooker is ready to serve. 10. Serve Hot Jeera Rice with Dal Fry or any Curry of your Choice. 1. 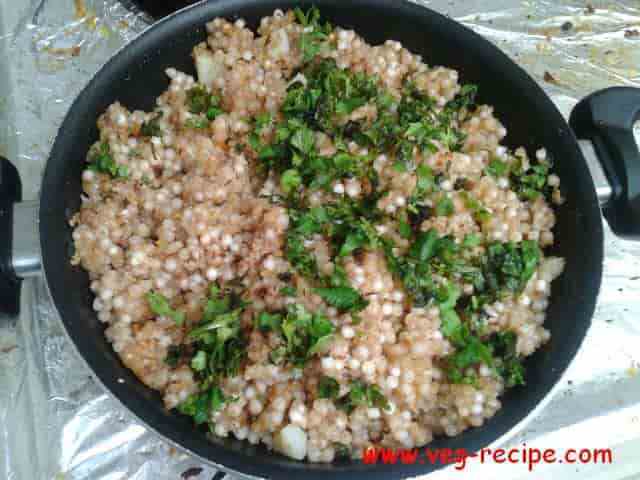 Take the Beaten Rice (Poha) and wash it thoroughly with water in a sieve. Keep aside for 10 minutes to make it soft. 2. Mash the boiled potatoes with a fork or you can grate them too. 3. Now take mashed potatoes in a bowl and add soaked poha, Carrot (grated), Paneer or chenna (grated), Chat masala powder, Black pepper powder, Garam masala powder, Red chilly powder, Ginger (Chopped), Green chily (Chopped), Coriander leaves, Salt to taste, and add lemon juice. Mix well all the ingredients. 4. Take a portion of the mixture and shape them in the form of a cutlet with your hand or you can give them a desired shape. Prepare the Cutlets from the remaining Mixture. 5. Now take Maida (all purpose Flour) in and bowl and make thin paste with water. Add Salt and Black Pepper and mix it well till there are no lumps. 6. Dip each Cutlet prepared above in the flour paste prepared above and coat them with bread crumbs all around. Repeat same for all the Cutlets. 7. Now take a pan and add some oil for shallow frying the Cutlets. Fry the cutlets on each side until they turn golden brown and appear Crispy. 8. 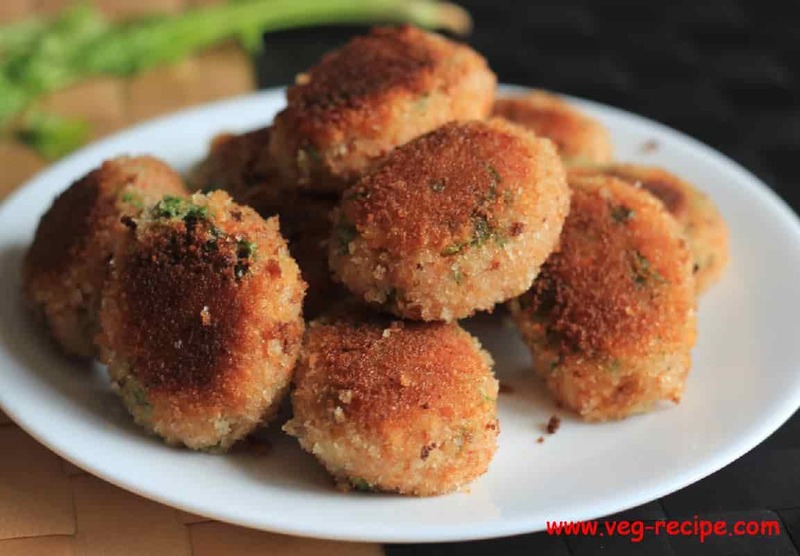 Fry all the cutlets and serve them hot in a plate with Sauce / chutney. 1. To make the cutlets more crisp, you can refrigerate the cutlets before frying. 1. Gently wash and soak sabudana (tapioca) in about 1/2 cup of water for 6 to 8 hours. 2. Roast the Peanuts in a pan until it becomes light brown or crunchy and keep aside. 3. Now take ghee in a pan and add jeera after the ghee has become hot.Now add potato and cook till Potatoes becomes soft. 4. Now add soaked Sabudana, Black Pepper, Rock Salt, Cilantro, Lemon Juice, Roasted Peanuts, Green Chilly and Mix Well. 5. Keep Stirring gently making sure that Sabudana do not stick to each other. Cover for a couple of minutes. 6. Sabudana Khichdi is ready. 7. Garnish with Cilantro leaves and serve Hot ! 2. You can add boiled potato instead of raw potato. 3. If you don’t stir frequently sabudana (tapioca) will stick to each other. 1. Take Chopped Palak (Spinach) in a Pan and cook on Medium Flame. 2. Squeeze out the water from the spinach once it cools down. 4. Finally add Besan / Gram Flour for binding the Koftas. 5. Take some portion of the above mixture and make small balls by rolling it between your palm. Prepare the balls for the remaining mixture. 6. Take some oil in a deep pan and Deep fry these Balls on medium heat taking care not to overlap them. 7. Fry the balls till they are golden brown turning them occasionally. 8. Take them out over a paper towel or absorbent paper. Your Koftas are ready. 1. Take Chopped Tomato, Chopped Onion, Chopped Garlic, Chopped Ginger and add a little water and grind them to make a smooth paste. 2. Take a deep Pan and heat 1/2 Tbsp oil and 1 Tbsp Butter. Once the oil become hot enough, add Cumin seed and saute till it become light brown. 3. Now add the above smooth paste to it and mix well. 4. Add all the spices Red Chilly powder, Coriander powder, Turmeric powder, Garam Masala, Salt to taste, Fresh Cream and mix it well. 5. Add a glass of water, mix it well and bring it to a boil. 6. 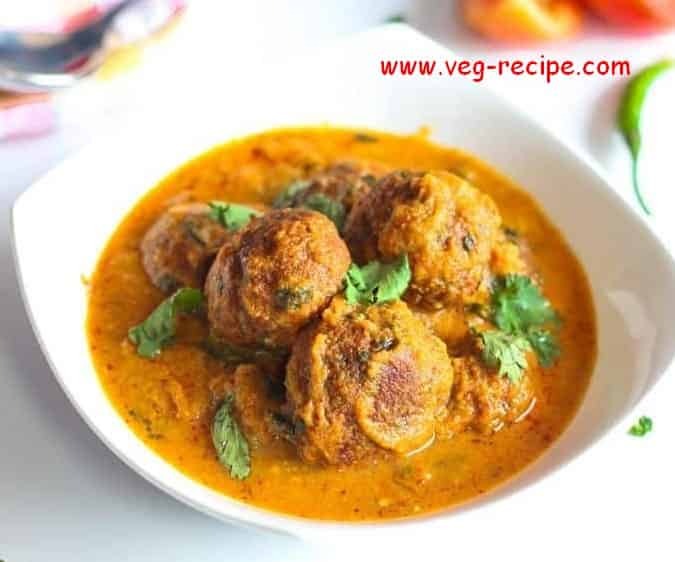 Once the gravy starts boiling add kasuri methi, freshly chopped coriader leaves and add fried palak paneer koftas prepared above, one by one and cook for another 2-3 minutes. 7. Now take the Palak Paneer Kofta Curry in a serving bowl taking care that the koftas dont break. 8. Garnish the Palak Paneer Kofta Curry with some fresh cream and chopped coriander leaves. 9. Serve Hot with Tandoori Roti, Kulcha, Naan, Paratha or Phulka Chapati. 1. Mix all the ingredients in a big bowl and knead a soft dough. 2. While Kneading, add water slowly and gradually to make the dough smooth and soft and now it is ready. 3. Take a plastic Ziplock bag and cut it open and place it on your rolling surface and grease it in the center. 4. Make a small ball out of the dough and place it between the two sheets of plastic and drizzle some oil on top of it. 5. Now spread the dough ball around using your hand or flat bottomed plate and make it look like a large disc. Now the roti is ready. 6. Now carefully remove the roti from the plastic disc and transfer it on a hot seasoned Tawa. 7. Grease the roti along the way and allow it to cook on the bottom. 8. Now flip it over and cook the other side too. 9. Apply oil/Ghee as needed and cook both sides until the roti turns brown and is cooked thoroughly. 10. Crispy brown Makki di Roti is ready. Repeat the process with the remaining dough. 11. 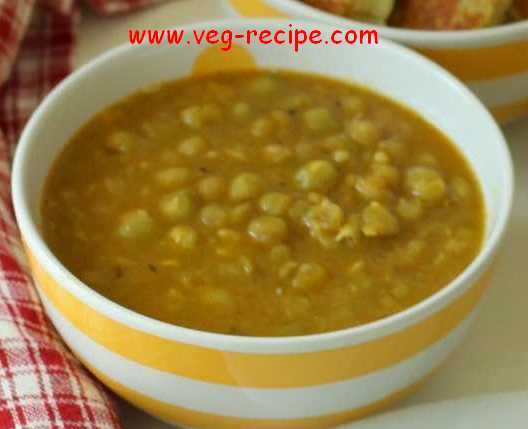 Serve hot with Sarson ka Saag or Daal ! 1. Clean all the greens and then chop them. 2. Wash all the chopped Green Vegetables with water. 3. Now take all the ingredients listed under saag except for maize flour in a Pressure cooker or a Pan with lid. 4. Let the mixture cook for 5-7 minutes. IF cooking in a pan, then cover the lid and let the greens cook. 5. Now pur the cooked greens along with the stock and mize flour in a blender. 6. Blend till smooth and then pour the puree of the greens in a pan. 7. Simmer for a good 20-25 minutes. 8. In another small pan, Heat oil or ghee, add the chopped onions and fry till they become light brown. 9. 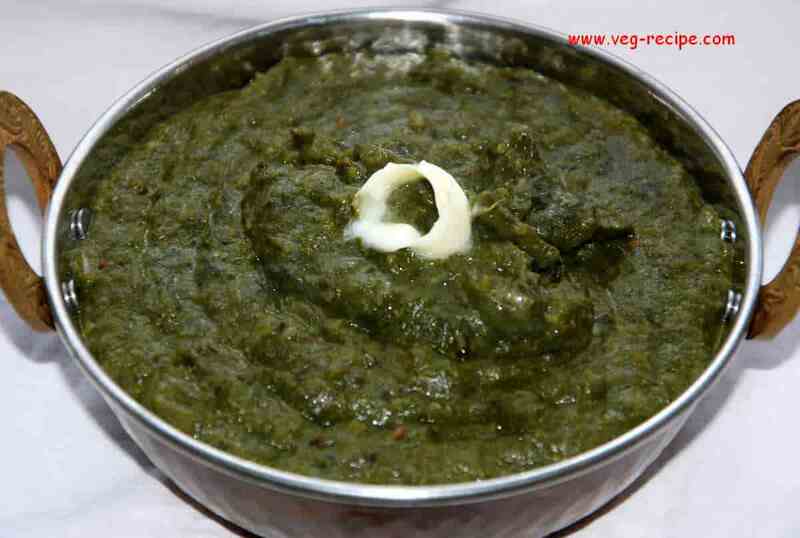 Add the prepared Saag of green puree aboe and stir and simmer for about 3-4 minutes stirring occasionally. 10. Serve the Sarson ka saag hot with some chopped onions, Whole Green Chillies and garnish with some butter on top of the saag along with Hot and fresh Makki di roti. Can also serve with Fulka Roti, Tandoori Roti, Puri, Naan or Kulcha. 1. Heat a pan on a Low flame and add jaggery to it. Let the jaggery melt for 2 minutes. 2. Now increase the flame to medium and cook the jaggery and keep stirring for another 2-3 minutes. 3. Now check the consistency of melted jaggery by putting a drop of it in cold water and see if a ball is formed. 5. Mix it properly and let the mixture cool down a bit to a warm state. 7. Now make ladoos from the remaining mixture and make sure the ladoos are made before the mixture Cools down completely. 8. Murmura Ladoos are ready to serve. You can also store it in airtight containers to store it and consume with some days while they are crispy. 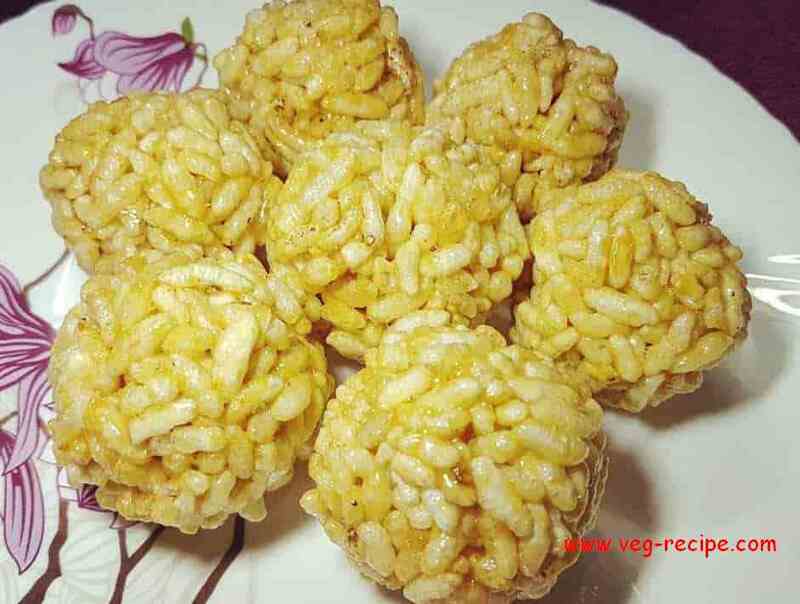 Til gud ka ladoo is a winter sweet and is generally made during sankrant / Pongal. This is a simple recipe made with til and jaggery. Til is sesame seeds and jaggery or gud is unrefined cane sugar. You can also enjoy them as Sesame Brittle. Til gud kha aani goad goad bola is also a famous phrase used by Maharashtrians. 1 cup jaggery or gud broken in small pieces. 1. Roast the Sesame seed (Til) in a frying pan on medium heat while stirring continously till they become light golden brown in colour. It should take about 4-5 minutes. Now keep the sesame seeds out in a bowl and keep aside. 2. Now take some water and Jaggery in the frying pan and simmer over medium heat till it starts melting and caramelising. Keep stirring for 4-5 minutes. 3. Now check the melted jaggery if it forms a ball when a drop of it is put in cold water. If it does lower the heat to low. 4. Add Roasted Sesame seeds (til), Ghee and Cardomom to the melted jaggery and mix it thoroughly. 5. Now grease a plate and take out the mixture on this greased plate. 6. Take one tablespoon of this mixture in your palm and try to make them in the shape of round balls. They should be roughly 1 inch in diameter. 7. Make all the ladoos from the mixture while it is still warm. 8. Til gud Ladoos or sesame seed ladoo can be stored in an airtight container for months. For a little variation, you can also add little crushed Peanuts or Daliya to the mixture before making ladoos. Along wih Til Gud / Sesame Ladoos, Peanut Chikki / Sing chikki / Peanut Brittle is also prepared. 1. Add 1 Cup Peanuts to a thick bottom Pan or Kadai. 2. Now roast the peanuts on a low-medium flame and keep stirring frequently till they become crunchy. 3. Roast till you see some black spots on the peanuts and if possible taste a few to see if they have been cooked properly and have become crunchy. 4. Now remove the peanuts in a separate tray and let them cool down. 5. After the peanuts have cooled down, remove the husks or peanut coating by rubbing them between your palms. You can also use a winnow or a sieve with large perforations. 6. Keep these peanuts aside while we cook the jaggery / gud. 1. 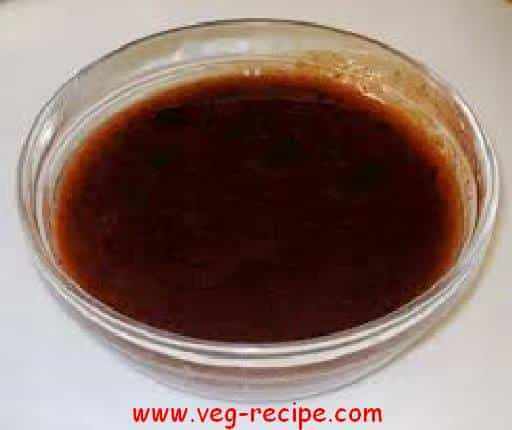 In the same kadai or pan, take 3/4 cup jaggery or 1/2 cup Jaggery powder and add some water. 2. Heat the jaggery on a low flame and keep stirring with a spoon or spatula till the jaggery gets dissolved. 3. Now keep stirring and check the syrup sample if the jaggery syrup reached to a soft ball like consistency. 4. when the jaggery comes to this consistency, quickly add the peanuts and give a quick stir and mix very well. 5. Grease a plate or marble board with oil or ghee. 6. Switch off the flame and quickly pour the chikki mixture on the greased plate or marble board. 7. Now Flatten out the chikki with rolling pin (belan). 8. Then with a knife, cut the chikki horizontally and vertically. 9. Let the peanut chikki cool at room temperature. 10. Once cooled, break them and serve the peanut chikki. If not serving, then store them in an airtight container / jar at room temperature. 1. Recipe can be doubled. 2. Be attentive when cooking jaggery syrup. 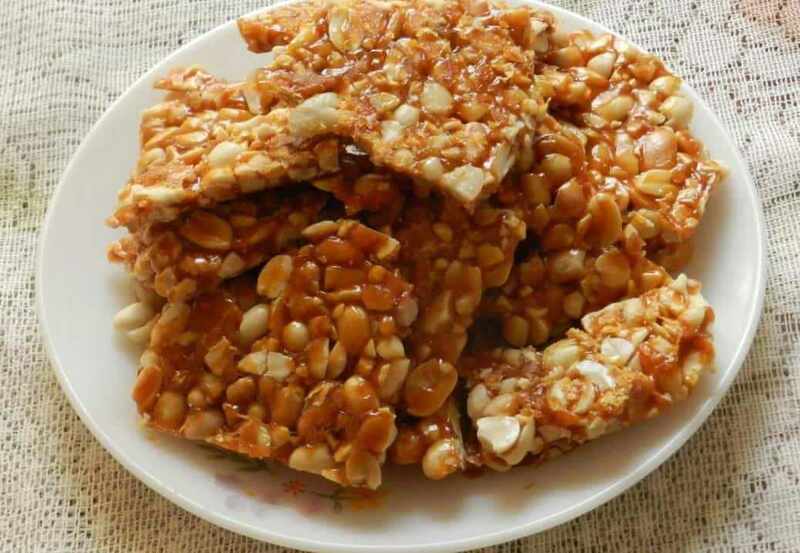 if it is not cooked properly, then the chikki will be chewy or can become too hard.